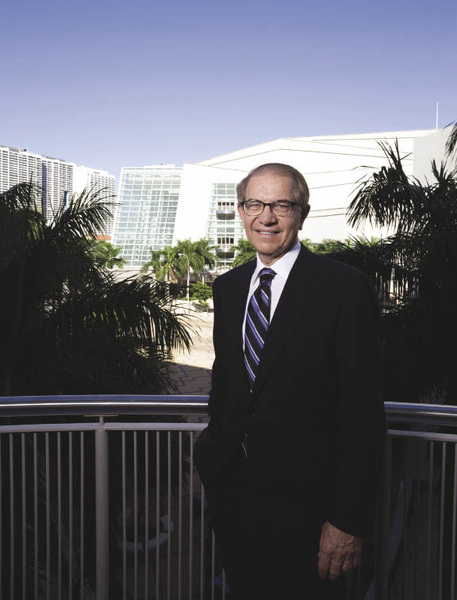 A nationally recognized trial lawyer with more than 30 years experience, Eidson is a partner at Colson Hicks Eidson in Coral Gables, known for his work in automotive product liability cases. At age 29, he won the first case against Ford for a defective fuel system on its Pinto model. 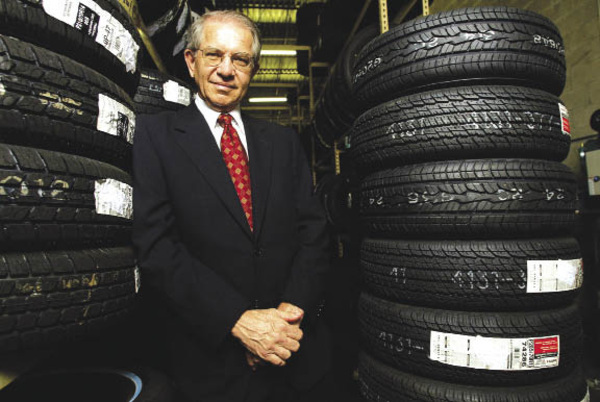 He was involved in the Chrysler Minivan latch case that led to the recall of 4 million vehicles, and served as national lead co-counsel in the Ford-Firestone tire case. In fact, Eidson thought about becoming a historian, before choosing law. He earned a scholarship to Emory University Law School, where he married a nursing school graduate and returned to Atlanta. His wife, Dr. Margaret Eidson, later became a clinical professor in pediatric endocrinology at the University of Miami School of Medicine. The Eidsons have three children. Eidson spent two years in the U.S. Army’s Adjutant General Corps, before moving to Miami in 1972. He went to work with the legal department at Southern Bell, while Margaret taught nursing at UM then entered medical school. Two years later, he was one of 100 attorneys interviewed for an associate’s position at Colson and Hicks, one of the nation’s leading personal injury firms. The co-founders Bill Colson and Bill Hicks were well established trial lawyers and Colson Served as president of the Association of Trial Lawyers of America (ATLA), now known as the American Association for Justice (AAJ). They liked college athletics, they liked Atlanta and they liked Mike Eidson, who got the job as an associate. Eidson rapidly built his own trial practice, and became a name partner in 1982. When founders Colson and Hicks retired in the mid 1990s, they sold the firm to Eidson and Colson’s son, Dean. Eidson and Colson continued to recruit new trial attorneys and gradually grew the firm. Last year, Colson Hicks Eidson relocated to a new office at 255 Alhambra Circle, giving the 16-attorney firm a higher profile in Coral Gables. Eidson is also a respected legal writer. In 1995, he co-authored “Defective Products: Evidence to Verdict,” a guide to product liability suits and in 1997 co-authored “Florida Practice Guide: Personal Injury,” a two-volume treatise on trial law in Florida. He also wrote the chapter on Products Liability in AAJ’s Litigation Tort Cases. Today, Eidson handles a wide range of litigation, from business torts and class actions to personal injury and wrongful death cases. Last year Eidson was lead counsel for the employees of U.S. Sugar Company in a class action arising from a proposed corporate buyout. He is litigating several international aviation cases, and has taken on Expedia, an online travel company, in a mass tort suit over local taxes, representing a number of Florida governmental entities. Eidson also serves on a national ad hoc committee of about 24 attorneys developing procedures and guidelines for handling private claims for damages against BP arising from the Deepwater Horizon Gulf oil spill. His partner, Ervin Gonzalez was recently named to the BP Multi-District Steering Committee handling all federal court cases arising out of the oil spill in New Orleans. Talk to Eidson for five minutes and he will not stop bragging about the talents of the other lawyers in the firm.